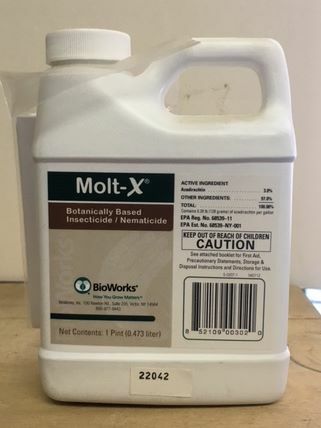 Molt-X Insecticide EPA# 68539-11. Active Ingredient: Azadirachtin 3%. Signal Word: Caution. Net Contents: 1 Pint. 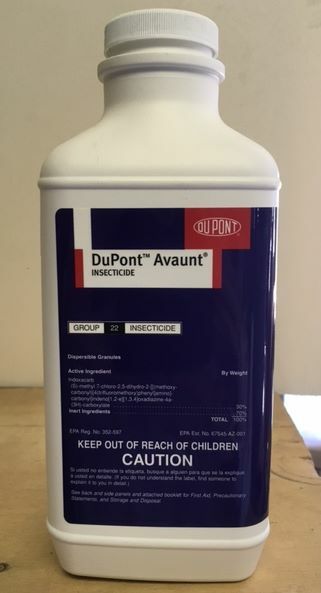 Molt-X Insecticide EPA# 68539-11. 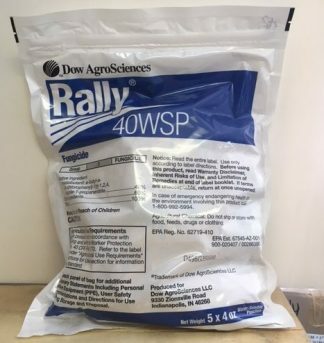 Active Ingredient: Azadirachtin 3%. Signal Word: Caution. 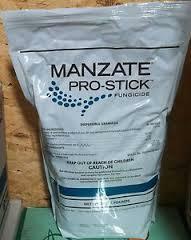 Botanically based insecticide/nematicide. OMRI Listed. 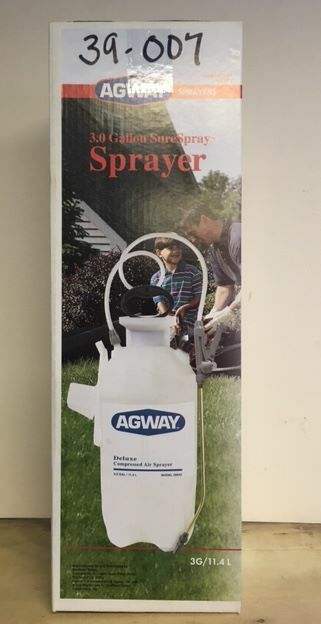 Molt-X is an excellent knockdown spray with multiple modes of insecticidal action. Molt-X works primarily as an Insect Growth Regulator (IGR) that disrupts the molting process in insects. Insects treated with Molt-X become sluggish, stop feeding, and fail to mature and reproduce. 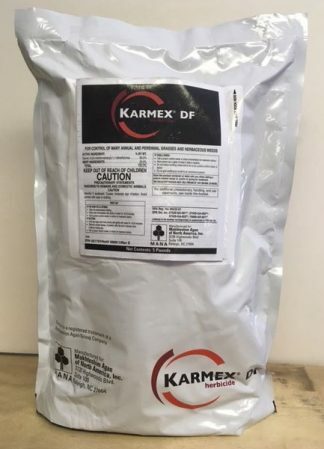 Molt-X also acts as an insect repellent, antifeedant, and ovipositional deterrent; these multiple modes of action make it a highly effective tool for use in a resistance management program.